The leaves are back on the trees, so it’s time to do some more Windows To The Past photos. 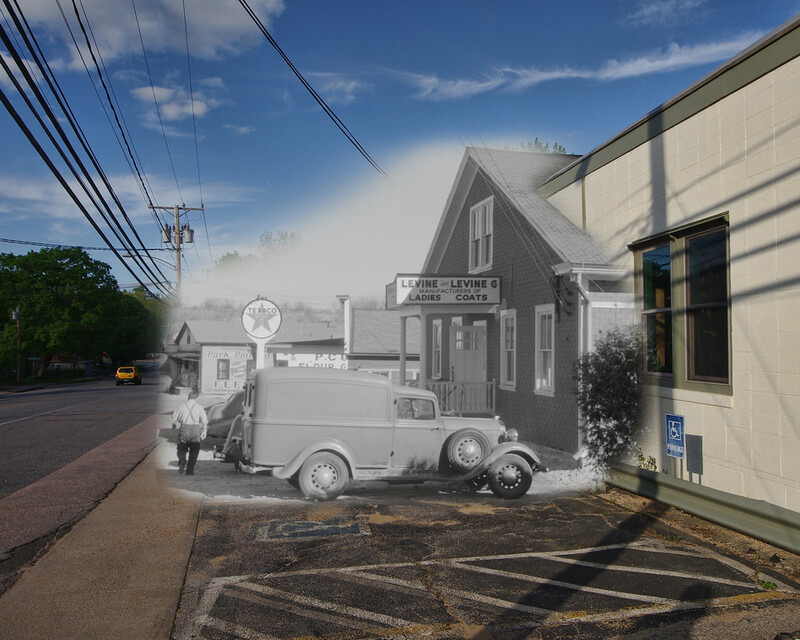 Here we have Levine and Levine from Nov-Dec, 1940 mixed with the present location of Colchester Mill Fabrics in May, 2013. We can see a Texaco that is long gone, and behind that looks to have been a feed store. I can’t tell if it was called Park & Pollard, or if it was a distributor of Park & Pollard products and had another name. The 1940 photo is by Jack Delano and is part of a collection in the Library of Congress Prints and Photographs Division.